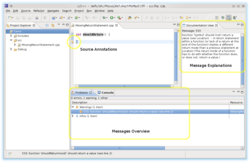 Linticator gives you immediate feedback on programming style and common programmer mistakes by integrating Gimpel Software’s popular PC-lint and FlexeLint static analysis tools into Eclipse CDT. PC-lint and FlexeLint are powerful tools, but they are not very well integrated into a modern developer's workﬂow. Linticator brings the power of Lint to the Eclipse C/C++ Development Tools by fully integrating them into the IDE. With Linticator, you get continuous feedback on the code you are working on, allowing you to write better code. Lint's conﬁguration, like include paths and symbols, is automatically updated from your Eclipse CDT settings, freeing you from keeping them in sync manually. False positives or unwanted Lint messages can be suppressed directly from Eclipse, without having to learn Lint's inhibition syntax–either locally, per ﬁle or per symbol. 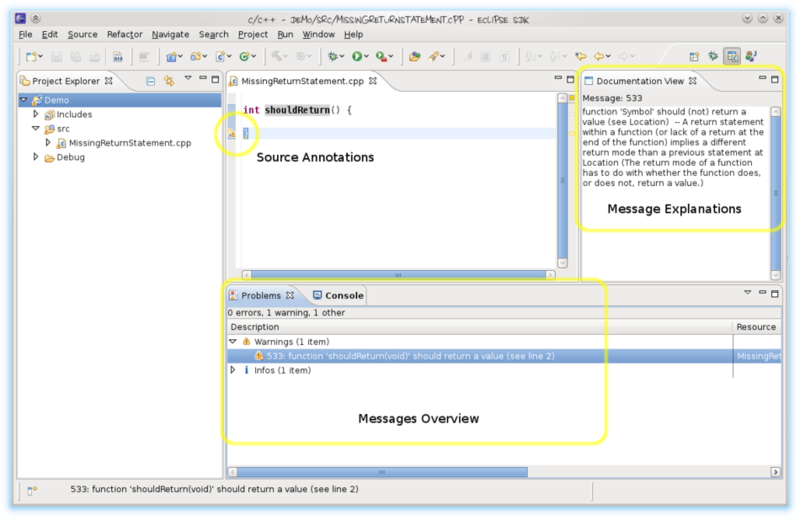 Lint is run after each build or on demand, and its ﬁndings are integrated into the editorby annotating the source view with interactive markers, by populating Eclipse’s problemview with Lint’s issues and by linking these issues with our Lint Documentation View. Linticator provides automatic ﬁxes for a growing number of Lint messages. For example, making a reference-parameter const can be done with two keystrokes or a mouse-click. Register at linticator.com if you want to try it, or if you want to be notiﬁed about Linticator releases.